Rick Petrocelly who grew up dining on and cooking Italian dishes is passionate about using extra virgin olive oil. He even fries his eggs in it for breakfast. 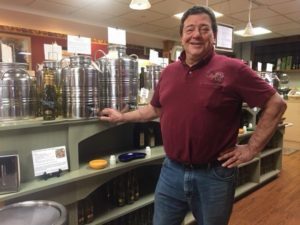 So, he not only owns the Olive tap in Long Grove, IL, he also holds the occasional chat there to explain the difference between what people see on store shelves and what they can find in a good olive oil specialty shop. After listening to his last chat I asked him to share some of his olive oil tips during an in-person interview. 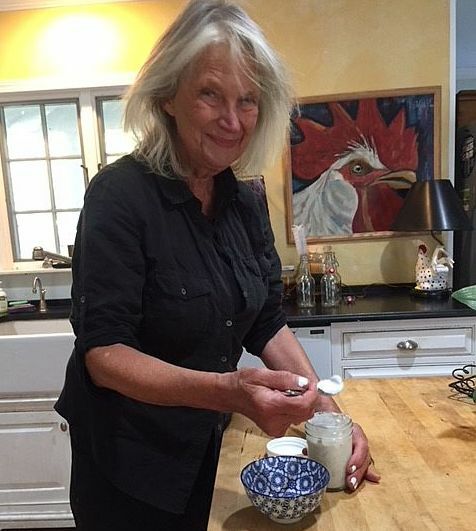 Next time he and I will talk about balsamic vinegar, what to look for and what aging means. Here are some of Petrocelly’s olive oil tips and a recipe from his Olive Tap web site. For Vinaigrette: Whisk together Chipotle Olive Oil and Dark Chocolate Balsamic Vinegar until emulsified…set aside. Add salt and pepper to taste. 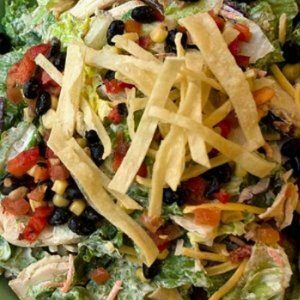 For the Southwest Chicken Salad: Combine lettuce and all remaining ingredients in a large bowl. Drizzle dressing over the southwest chicken salad and toss to coat. Add any optional garnishes before serving and enjoy! 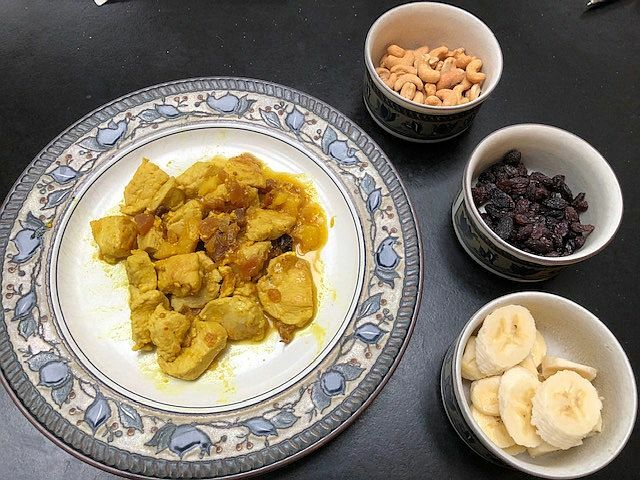 “It’s not a good idea to put raw garlic cloves into olive oil to flavor it because of botulism but you can put roasted garlic into olive oil. (He sells an excellent roasted garlic olive oil from a California vineyard where he knows the owners/growers). 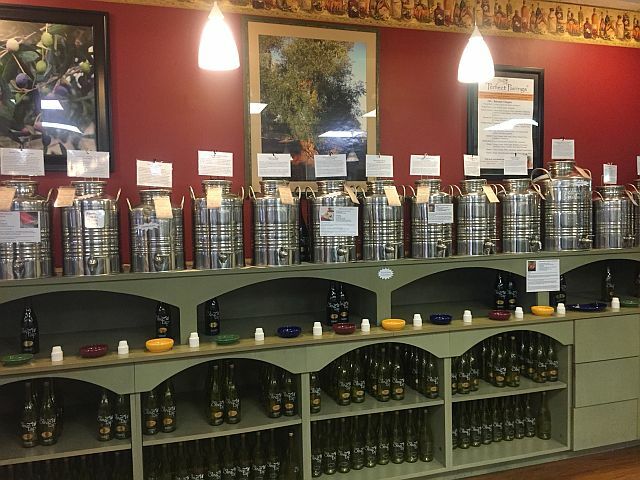 He recommended tasting some olive oils before choosing one to take home. His containers with taps are arranged from light to more robust, similarly to doing a wine tasting. Description cards are on each container so people know what to expect. He notes that quality is important. 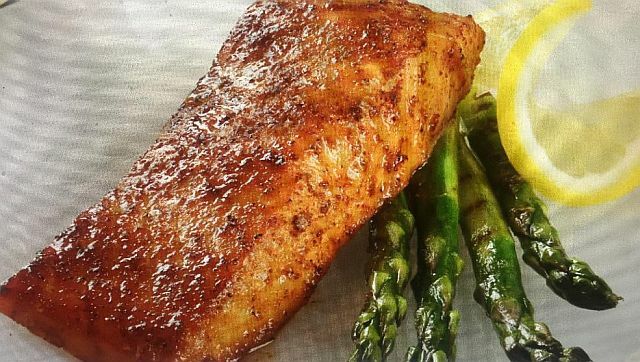 “The higher the polyphenols, the higher the temperature you can use to fry or grill the dish and the longer the oil will last. He suggests looking and tasting award-winning olive oils because they have already been ranked in competitions. “If you see olive oil on sale in a store, it is not a bargain. It’s old. Remember, after picking, the olive is milled then the oil is packed, sent and distributed. “There is a lot of fraud in marketing olive oil.” He showed a can that said extra virgin olive oil, first cold press in large letters but in tiny print up at top, the fine print it listed olive oil and another another oil. “A study at UC Davies found that 67 percent of olive oil that said extra virgin failed the test,” according to Petrocelly. Regarding flavored oil he says, “Once you add flavor to an oil, it can no longer be referred to as extra virgin. Extra Virgin is and must be pure, with nothing added.” He notes that a Chipotle oil he recommended was extra virgin before the flavoring was added.